A year ago today we published our first Ventura Intrapreneur Job Post (find out what a Ventura Intrapreneur is here). In 2015 we made the decision to move from viventura - a tour operator for South America - to a group of specialized niche operators. This lead to the funding of Ventura TRAVEL in October 2016. By then we already had two Intrapreneurs: Pablo leading viventura - the Tour Operator for authentic trips in South America and Jonathan, the director of puraventura (authentic trips in Central America). In January Benno followed as third Intrapreneur, he is the director of Galapatours, a platform for Galapagos boats. Benno, Jonathan and Pablo have one thing in common: they have worked within the company for many years. It was clear to us, for the next Intrapreneurs we needed external experts. Central America & South America are similar destinations, Galapatours based within "viventura-land". But the possibilities for leading Niche Travel Brands exist worldwide. So we published the Intrapreneur Job on our career page. 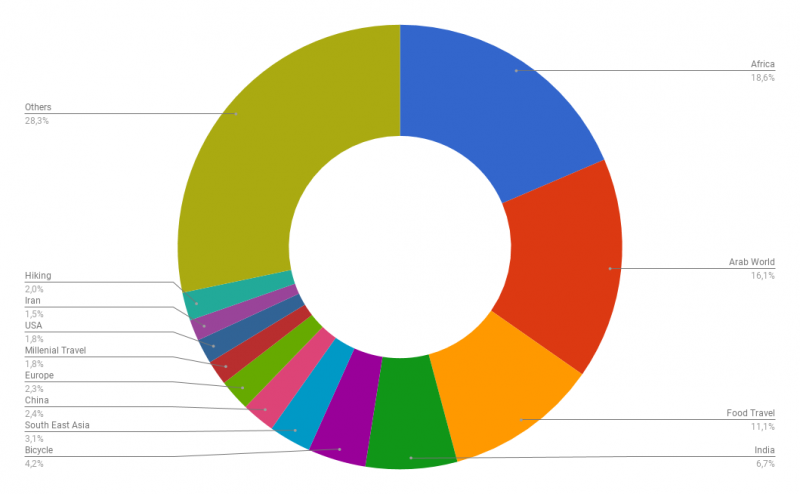 The result was incredible, today we want to share valuable insights from the 781 applications, that we received. How hard is it to become a Ventura Intrapreneur? 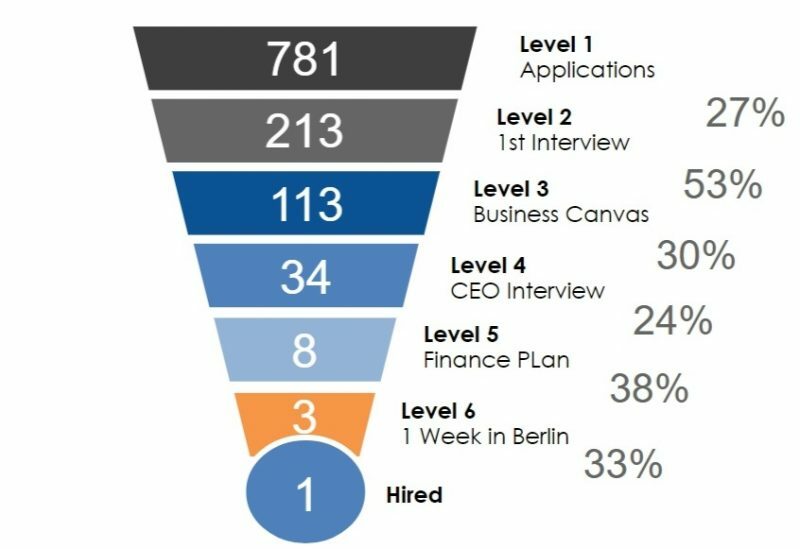 In the graphic below you can see the 7 level interview plan we have for this position. The Intrapreneur is a central piece of our company, remember our Vision is to empower Intrapreneurs to succeed in travel. Therefore we put quiet a bit of thoughts into the process of selecting an Intrapreneur. Below is a list of all closed applications (we have several very promising applications in process right now). We couldn't have imagined, that this job post would receive so much attention. It fills us with sincere joy to see so much interest in this position from people around the world. We received applications from all continents. So far one applicant it through this process. Francesca just launched japaventura. Our overall goal is to start with 2-4 travel niches in a year, therefor every 3-6 months we hire a new Intrapreneur (as long as we find talented people). For what travel niches did we receive applications? In the first two months we just had one published job post. Then we discovered, that applicants had a hard time understanding, that we are open to any travel niche concerning multi-day-trips. So we created several versions, giving out examples for possible travel niches. This really helped getting more applications. The most popular travel niche, for which we received applications is Africa, around 16% of the applications came to start a travel niche in the Arab World and about 11% of the Intrapreneur applications proposed a travel niche brand. The applications are very diverse so 28% are summed up in others, these include travel niches like Surfing, Diving, Inclusive Travel, trips to Scandinavia, to Israel, to New Zealand to name a few. We are grateful for the great interest that people show in joining us. If you have a passion for a travel niche and believe you possess the qualities of a successful Intrapreneur. Please don't hesitate to apply today. Posted Jan 24, 2018 2:00:28 PM by andre .